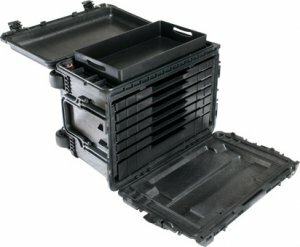 When it comes to storage cases that can handle the worst types of abuse, Pelican is the first name that comes to my mind. Used by everyone from the military to movie production crews, even small businesses and home users. I use a Pelican case to store my camera gear at home, because I know it will be safe from just about any natural or unnatural disaster it may encounter.